To be admitted to any of Seton Hill’s cooperative degree programs with the Lake Erie College of Osteopathic Medicine (LECOM), applicants must be accepted to both Seton Hill University and the LECOM Early Acceptance Program. Apply to Seton Hill online. Begin the process of applying to the LECOM Early Acceptance Program by submitting an official online inquiry to LECOM. 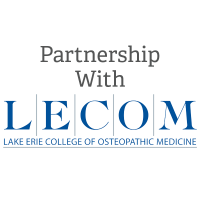 LECOM will be in touch with details about applying to their Early Acceptance Program. Seton Hill will notify LECOM if you are accepted by the University. LECOM will then review the Early Acceptance Program application and make a final admission decision. Students who are accepted to Seton Hill but are not accepted to the cooperative degree program with LECOM are still eligible to study at Seton Hill.